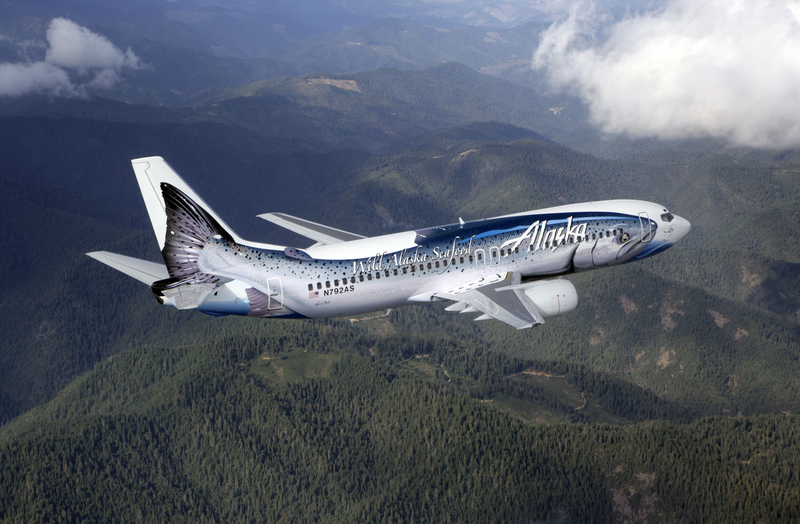 We’ve had doves, giant ladies in bikinis and even killer whales gracing the air, and now Alaska Airlines‘ big old flying fish is coming back to the skies later this year. 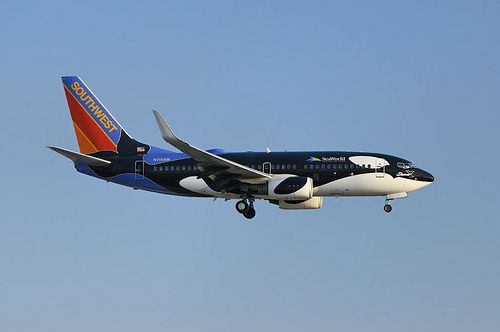 The largest flying (and perhaps only flying) salmon is being painted on the side of a 737-800 a longer airframe compared to the predecessor fish which adorned a 737-400 series (pictured above). Aptly dubbed ‘Salmon Thirty Salmon II’ (737… get it?) 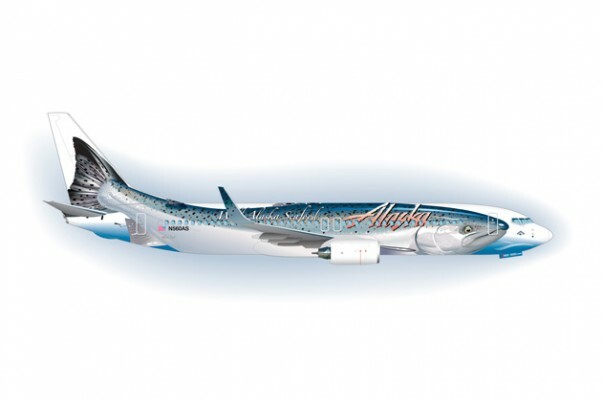 Alaska Airlines are proud of being one of the transporters of the Alaskan fish and have partnered with the Alaska Seafood Marketing Institute to bring the extra long fish to the skies. Personally speaking, I like the design, I think it’s great, to see a bit of fun on planes, and the fluid shapes the fish creates on the fuselage really help make the whole design seem natural and effortless. The little touch of scaled winglets are brilliant, hopefully also painted on the inside of the winglets, as that is a bit of captive advertising for those onboard looking out at the view. But why aren’t there more designed adverts like this? The sides of planes are great billboards, most airports have large windows facing onto their aprons, and we all know how bored we can get in these soulless buildings, so it’s surprising that more airlines don’t take advantage of the advertising and commercial potential of their aircraft. Especially for airlines such as Ryanair, Southwest (below) or AirAsia which aren’t concerned about their livery as much as others. We all agree, the “Salmon Thirty Salmon” has to be the finest airplane livery to date. It should be in the Smithsonian! More great comments are on this scheme then any other airplane in the skies.